A burning desire to return to painting led Krystii to five years of study in traditional tonal realism and the oil-painting techniques of the old masters with the renowned Australian artist, Graham Moore. Drawing on Moore's 80 years of artistic experience provided her with a strong background in portraiture, still life and landscape painting. Her passion for wildlife and fascination for people became the major inspirations for her paintings and Krystii is now recognised as one of Australia's and the USA's premier fine artists. Her work is regularly exhibited in major art museums and world class exhibitions across North America. Krystii has recently moved with her husband, Michael, from Australia to Spokane, Washington, to be closer to her favorite American Western and wildlife subjects. She spends a great deal of time observing wildlife for her paintings, or working with cowboy and Native American friends to tell the stories of the history of the West. Through sketches and studies, her initial inspiration develops into a composition that expresses the visual and emotional impact of her experience with each creature or friend. Over a loose wash of color, Krystii develops her paintings "alla prima", in one layer of oil paint applied wet-on-wet to the canvas panel. During the painting process, she is always totally absorbed by her subject and revelling in the paint itself. "I love the feel of oil paint, whether mixing intense colours or subtle tones, pushing around thick impasto or applying the thinnest of washes, laying down loose brushstrokes or fine details." Working in a realistic style, Krystii combines accurate details with a loose application of paint. Her bold compositions project the amazing power of life with strength and conviction. Krystii also paints traditional portraits and still lifes using the methods of the old masters, where larger brushes and a direct approach portray the essence of the subject directly from life. Her skill in capturing an accurate likeness in a strong, painterly style has led to many official portraits for the Australian Army, Navy and Air Force, and commissions for museum collections, corporate and private clients around the world. An impressive list of prestigious awards includes Best of Show 2D at Cowgirl Up! at the Desert Caballeros Western Museum, Arizona, Best of Show 2D at Heart of the West at the National Cowgirl Museum and Hall of Fame, Texas, The Painting Award at the Buffalo Bill Art Show in Cody, Best of Show at NatureWorks in Oklahoma three times, The Award of Merit - Bird in Arts For The Parks, Wyoming, and many from the Wildlife Art Society of Australasia including Best Australian Native Wildlife Artist. She has also been voted most popular artist in numerous exhibitions. Exhibitions in the USA have included Masters of the American West at the Autry National Center, Cowgirl Up! at the Desert Caballeros Western Museum, Heart of the West at the National Cowgirl Museum and Hall of Fame, Quest for the West at the Eiteljorg Museum, Night of Artists at the Briscoe Museum, the Leigh Yawkey Woodson Art Museum's Birds in Art, The Society of Animal Artists' Art and the Animal, The Buffalo Bill Art Show, Arts For The Parks and major solo exhibitions. The book Feather and Brush: Three Centuries of Australian Bird Art includes Krystii Melaine among the 34 major contemporary Australian bird artists featured. 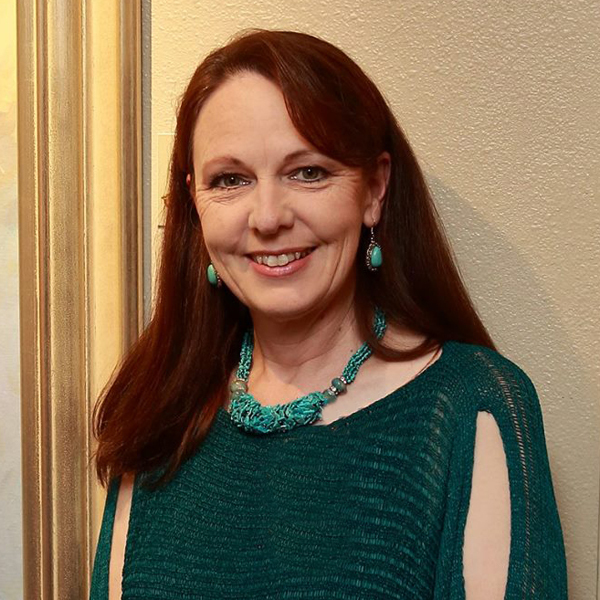 Articles about her work have appearing in international magazines including Southwest Art, Art of the West, Western Art Collector, Wildlife Art, U.S. Art and InformArt. The 2010 book "Best of Worldwide Oil Artists, Vol. I" features Krystii's snow leopard "Himalayan Princess" on the cover and a 2 page spread inside. Krystii Melaine's brilliant and powerful oil paintings express the wonderful beauty and diversity of our natural world and of ourselves. Through her paintings, she hopes to inspire us to really appreciate all living things and to experience the world with the passion of an artist.